Spring Hill Estate represents our family’s core values of respect for land and animals, preserving farming traditions for the next generation, contributing to the community and connecting to our history. Spring Hill Estate enjoys a rich history. Our property sits atop a vast hilltop with panoramic views of rolling hills and towering eucalyptus trees, with the town of Tomales, California and Mt. St. Helena in the distance. Built in 1991, the Victorian-style Estate House and surrounding 300 acres of land were once known as ”Elk Ranch" for the herds of Tule Elk that roamed the area. The Estate has been a featured location for many Hollywood films and commercials over the years. Roaming across the property are our prized herd of Jersey cows. Jersey cows are a heritage breed, originally from the Channel Islands in England. They are gentler, more curious and smaller than their more popular black and white cousin; the Holstein. While they give less milk, it’s higher in protein and butterfat giving Spring Hill Jersey Cheese its award-winning status in dairy competitions across the nation. Owner Larry Peter grew up in nearby Sebastopol, California. His father, Virgil, worked in the lumber industry and his mother, Georgia, grew heirloom potatoes. Georgia became known as the Potato Queen and was one of the founders of the Santa Rosa Farmer’s Market. Virgil and Georgia always dreamt of raising their children on a dairy farm. As a young man, Larry worked in agriculture picking prunes and raspberries. He washed milk bottles, bottle fed calves and drove a forklift while he learned the business. In 1986, he bought a run-down dairy farm in Two Rock and brought it back to life as the Certified Organic Spring Hill Dairy. By 1998, he was producing 500 pounds of Spring Hill Jersey Cheese that initially he sold himself at farmer’s markets. Today, the family label has grown exponentially and includes several thriving, marquee Sonoma and Marin County brands. Larry Peter supports local business organizations, as well as youth agricultural clubs like FFA and 4H to ensure that the strong farming traditions of Northern California are passed on to the next generation. 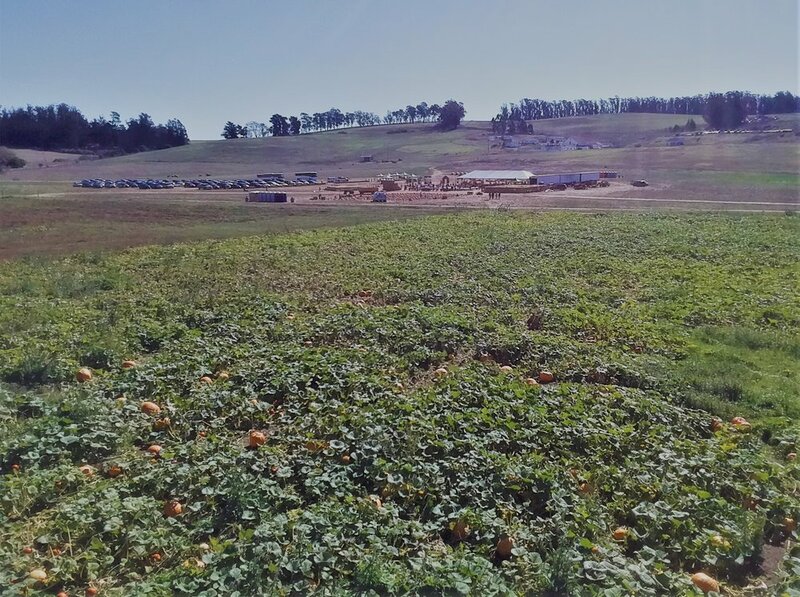 Over the past 20 years, we have held The Great Peter Pumpkin Patch at the farm. More than 6,000 children try the Creamery's pumpkin ice cream, dig potatoes, milk a cow, go for hay rides, pet baby animals and choose the perfect pumpkin while their parents enjoy live music and free cheese tastings. It’s a wonderful event that builds community and teaches kids where their food comes from. In 2004, Larry saved the century-old landmark, Petaluma Creamery from the wrecking ball and transformed it into the thriving, multi-block facility where we proudly make Spring Hill Jersey Cheese Company butter, cheese and ice cream daily. 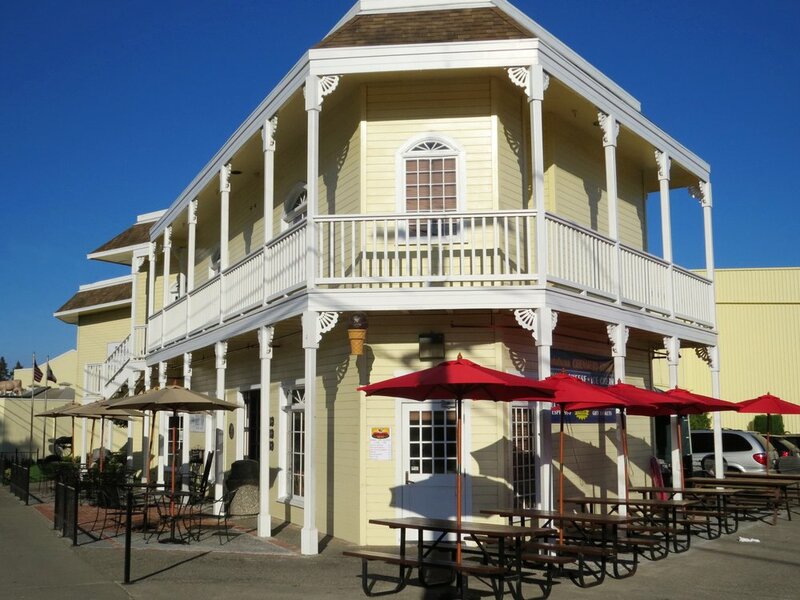 An avid supporter of his community and preservation, Larry recently purchased the Washoe House Restaurant and Bar in Petaluma and the Tomales Bakery in Tomales. Our family legacy is one of true community support and passion for showcasing all that our beautiful area offers. We invite guests to come visit us, celebrate life's milestones, retreat, relax, and enjoy the most beautiful place in California! Explore all the beauty and bounty Northern California has to offer from our vast, tranquil location in the center of it all. Tomales is a serene coastal town off of California's famous Highway 1 with sprawling views of Point Reyes. Visitors enjoy long nature hikes around Tomales Bay State Park or kayaking around Dillon Beach and the Point Reyes National Seashore, ending the day indulging in some of the finest oysters on the coast at the famous Hog Island Oyster Company. Tomales is a true nature lovers dream, and offers tranquility and relaxation throughout its historic rolling hills. Rich in history, Petaluma is one of California’s oldest cities. Thriving agriculture, produce, poultry and dairy has sustained the population for many generations, and Spring Hill Estate is proud to continue this practice throughout our family of brands. Downtown Petaluma's picturesque streets bustle with local events (such as the annual Butter & Egg Festival,) street fairs, flea and farmer’s markets that continue to gain popularity and notoriety across the county. With its golden hills and rugged coastline, San Francisco's North Bay has much to offer. From Sonoma Valley's world-class wineries to dramatic vistas of the Pacific Ocean and the soaring redwoods of Muir Woods National Monument, there's something for everyone. Visitors comprised of nature lovers, foodies, families and solo travelers alike enjoy exploring, indulging and relaxing in this beautiful region featuring the best that California has to offer. The venerable Petaluma Creamery, established in 1913 by a group of dairy farmers, has dutifully anchored the west side of downtown Petaluma for the last century, defining the town’s agricultural roots and serving as the economic engine for the Sonoma-Marin Dairy Belt. Today, the landmark creamery remains a vital link in the survival of family dairy farmers in Sonoma and Marin counties. Home of Spring Hill Cheese Shop, Petaluma Gold Ice Cream and Specialty Food Cafe. The Tomales Bakery serves up local flavor in a space where bicyclists and motorcyclists, ranchers and fishermen, residents and tourists bond over simple pleasures, like the sweet smell of cinnamon or that deeply satisfying first bite into a fresh from the oven Gorgonzola Cheddar Twist. Offering seasonal, fresh food – baked in-house, in small batches – with a side of local character that makes the patio an irresistible community gathering place. One of Sonoma County’s historic roadhouses, Petaluma’s 1859 Washoe House has plenty of quirky touches that support the city’s campaign to” stay weird.” With a ceiling covered in tattered dollar bills and a framed wreath of flowers and human hair, there are plenty of unusual things to discover at Washoe House. 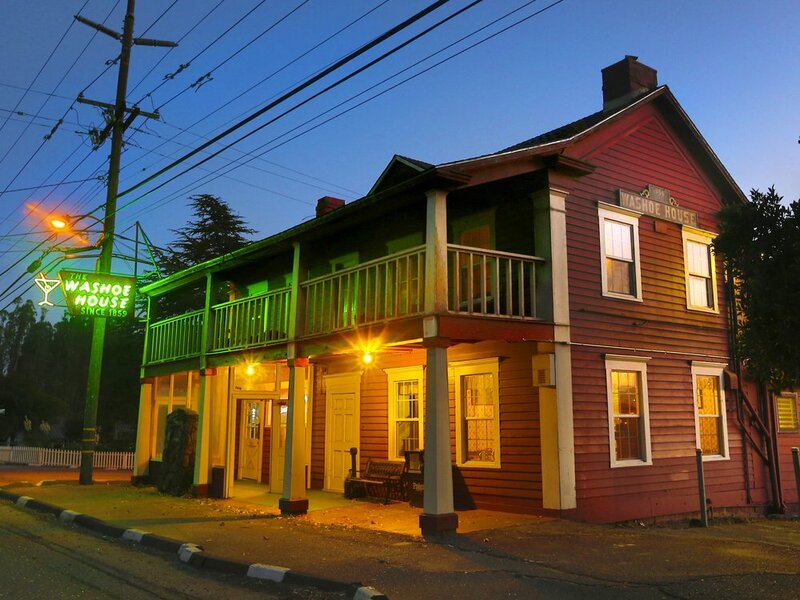 At various times, it has served as a hotel, butcher shop, post office, community hall, and stagecoach stop!